Leap into space with the new I.N.O.X. Titanium Sky High Limited Edition – a standout timepiece in a galaxy of its own. Existing in another dimension, this rigorously tested timekeeping tool from Victorinox is built on the established I.N.O.X. pledge of reliably functioning under absolutely any circumstances. During the 130 product-specific durability tests it goes through, the I.N.O.X. 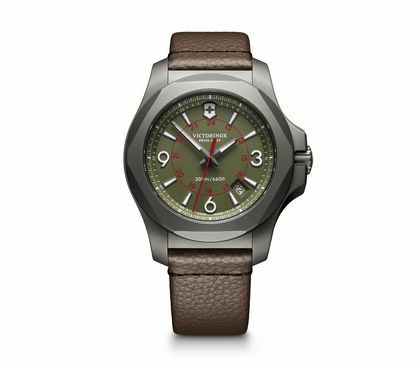 Titanium Sky High Limited Edition is exposed to repeated thermal shocks, with temperature variations in excess of 60°C and altitudes of up to 21,300 metres – twice the cruising height of an airliner. The I.N.O.X. Titanium Sky High Limited Edition is fitted with a Naimakka paracord attachment whose Technora® inner strings are eight times stronger than steel. Paracord’s durability is proven by its involvement in a robotic rover Mars landing. It has also been used to repair the Hubble Space Telescope. The I.N.O.X. Titanium Sky High also comes with a limited edition white Swiss Army Knife, featuring an astronaut icon metal inlay and paracord keyring. This is a replica of the classic red knife that has long served as astronauts’ standard equipment. Every one of the 2,000 I.N.O.X. Titanium Sky High Limited Edition pieces comes in its own time capsule box. 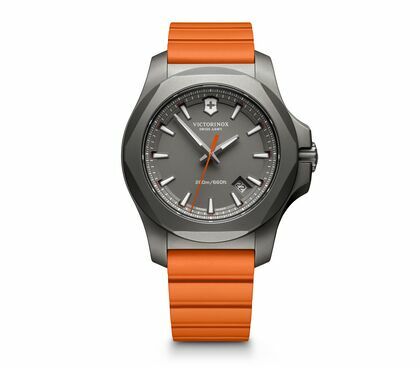 Alongside the limited edition watch and knife, this contains a white rubber strap and a transparent magnifying bumper that is reminiscent of an astronaut’s helmet.